Watermarks such as John Allen Superfine, John Allen Fine, Ermevale Superfine, Ivy-Glen Linen and Old Plymouth 191 Bond were all discontinued when Portals, the renowned manufacturer of banknotes, acquired Stowford Paper Mill in 1924. Portals were at the time extending their business activities, having secured contracts for the supply of postal order paper in 1881 and pension book paper in 1908. Additional manufacturing capacity was needed and Stowford Mill was ideal for their expansion plans. Upon acquisition in 1924, a subsidiary company was formed under the title of Portals (John Allen & Sons) Limited. Other watermarks such as John Allen & Sons Extra Strong, Eddystone Loan, Ivybridge Linen, Ivybridge Bond and Commander were however, retained. Commander was transferred to Turkey Mill in Keighley, another mill Portals had recently acquired. Portals also introduced new watermarked grades to Ivybridge such as Wykeham Bond, Wove and Laid (first made in 1924 but later discontinued in 1939/1940), Economy Bond (first made in 1928 and discontinued in 1940), 1927 Extra Strong Wove and Laid (first made in 1927 and discontinued in 1933) and Ivybridge Blotting (made between 1927 and 1929). Wykeham Bond included the Portal family insignia of a castle and gateway (portal) and it is thought this was the first paper to include it. Portals used this symbol from the 1920s to identify business papers of high quality made by their company. These included letter heading papers, for which good looks and normal life were required, through to the ledger sheets, which offered a long life and were able to withstand ‘hard wear with good grace’. The Gateway symbol was later to be used as the principle trademark of Wiggins Teape. It seems when Portals sold their trade paper business in 1930, which included Stowford Mill, in order to concentrate on their core businesses of banknote and high security, the Gateway passed on with these products. The site entrance gates of the mill still have the symbol within the wrought iron work. The Wykeham range was available as a ledger, writing, bond, bank, cream wove, cream laid, azure wove and azure laid paper. 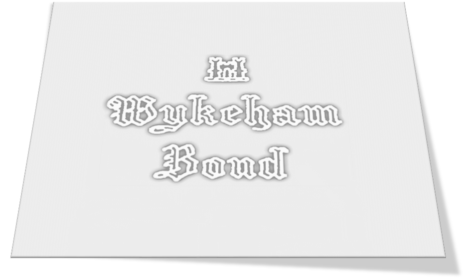 Wykeham Bond was mentioned in the British Commerce and Industry review of 1934 with the description “should rank with the finest medium-priced papers produced today”. 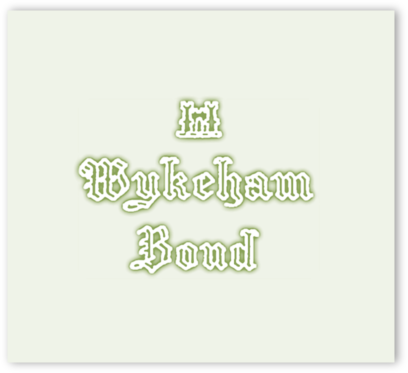 Wykeham Bond and Wykeham Wove and Laid was first made at Stowford Mill in 1924 and was recorded in the production records throughout the 1930s, although Wove was discontinued in 1939 and Laid in 1940. The founding father of Portals at Laverstoke, Henri de Portal, was a French Huguenot. He fled religious persecution under the Roman Catholic King Louis XIV of France. He allegedly hid in a wine cask and smuggled across The Channel reaching Southampton in 1710. Huguenot Bond was available as a Ledger, Writing, Bank, Bond, Cream and Azure Wove and Laid paper quality and was an extremely high-class rag paper, ‘for choice where excellence in every respect is a desirable feature’. Production of Huguenot Bond was recorded on No. 3 Paper Machine at Stowford Paper Mill on March 4th 1940. Azure wove paper in a size 28½” x 34½”, 71 lbs 500 sheets. 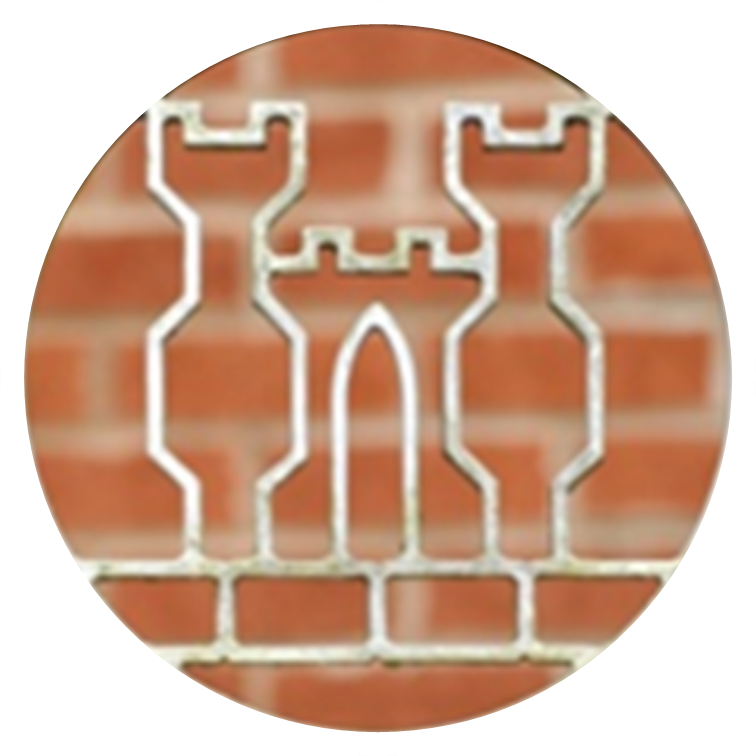 Manufacturing records show regular production runs of Huguenot Bond for many years afterwards. Ivybridge was described at the time as a typically English-looking paper and identified with a mill in Devon famous for the purity of its product. Restricted to bank and bond papers in cream and azure shades, it appealed to many office users of paper of the time. Ivybridge occupied a place midway between Huguenot and Wykeham in relation to both quality and price. Economy was available as a bank or bond and represented a low priced white or azure paper brand. Its target market was circulars, letter forms, house forms and system dockets. Laid and wove are the most common and familiar terms used in connection with paper, denoting as they do, the general structure of the sheet in the ‘look-through’ (paper viewed against a light source). The term laid is applied to such papers which show parallel waterlines (chain lines) down the sheet, crossed by very close waterlines (laid lines). Historically all mould-made paper was laid in appearance due to the structure of the hand mould or deckle employed. Until the latter part of the 18th century the vertical chain wires were sewn directly to the wooden ribs of the mould. This caused the fibres to lie heavier along each side of every ’chain line’ in the sheet of paper. European paper made before 1800 may often be distinguished by this peculiarity and is rightly called ‘antique laid’ paper. Later moulds were designed where the chain lines were set under the laid wires, thus preventing the paper stock from settling along each side of the line. 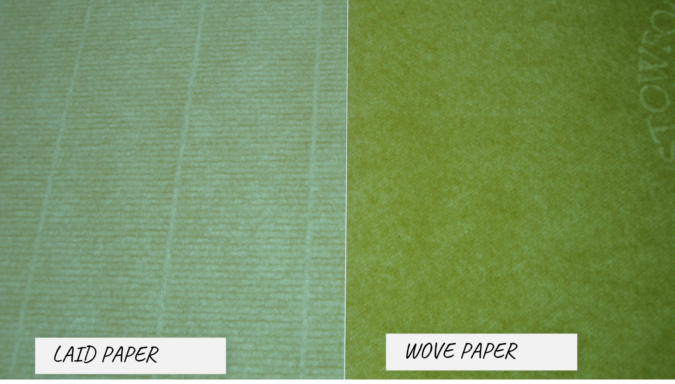 Wove paper was historically produced using a mould with a fine mesh screen, woven on a loom in the same manner as cloth, hence the name. This paper developed by James Whatman at Turkey Mill in Maidstone provided a less irregular surface, eliminating the furrow of traditional laid paper and improving the quality of the printed work. Additionally, the paper was soaked in a gelatine bath of hooves and bones to make it strong and less absorbent. Turkey Mill thrived with the success of its paper quality, becoming one of the largest paper mills in England, and with the name of Whatman respected around the world. As early as 1760, the first watermark in wove paper was produced. This was a time when wove paper was not widely available to artists. Thomas Gainsborough was anxious to use it for his watercolours and Whatman paper was also used by J.M.W. Turner who famously sketched and painted the old Ivy bridge in Devon back in 1813. Napoleon used Whatman paper for writing his will, whilst George Washington signed many state documents with Whatman paper and Queen Victoria used it for her personal correspondence. In 1930, Wiggins Teape (1919) Ltd, purchased Stowford Paper Mill from Portals, along with Chartham Paper Mill situated near Canterbury, Turkey Mill at Goose Eye, Keighley in Yorkshire, and the Basted Paper Mills Company (formed in 1888 and made up of Roughway Paper Mill near Tonbridge in Kent, Medway Mills near Maidstone and Basted Mill). Wiggins Teape was well placed as it had extensive domestic and overseas sales offices and to further support this, a thriving paper merchant network. From the outset, Wiggins Teape introduced their branded watermarked grades to Ivybridge, including Wembley Bond, Devon Valley Superfine, Desmond Bond, (transferred from Dover Mill in 1936), Kent Vale Parchment, Malling Valley Parchment in 1938, Wylverley Parchment and Imperial Airmail Blue. 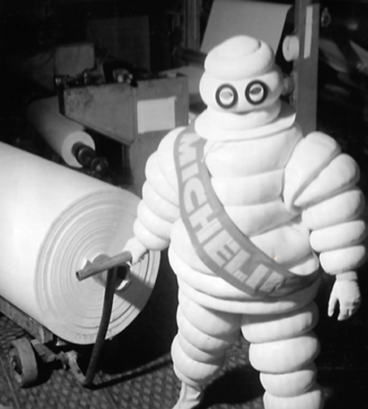 On Thursday September 22nd 1977, Stowford Mill at Ivybridge made some watermarked paper for the world famous tyre manufacturer Michelin. 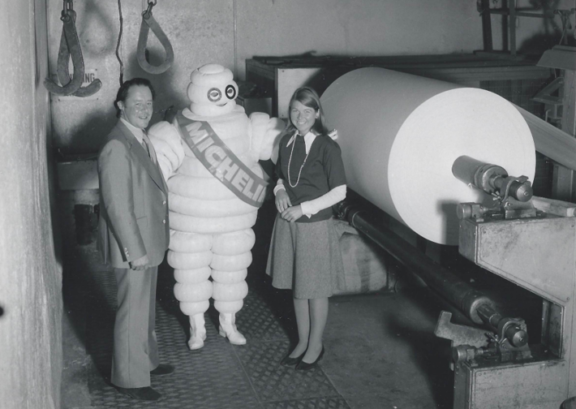 The local Western Morning News reported that the mill had produced 1 tonne of bespoke watermarked paper for the company’s official letterhead stationery to be used exclusively by the British operation of the Michelin Company. Production records indicate that ‘Conqueror’, the famous Super Brand of ArjoWiggins, was first manufactured at Stowford Mill in 1939. On December 28th, Conqueror London, Azure Laid was produced in 16½” x 26½” 33 lbs 500 sheets. However, and most interestingly, an excerpt from the history of Buckland Paper Mill in Dover, suggests that Conqueror was actually manufactured somewhat earlier at Stowford! In 1905/6 business became so good that Buckland Mill was unable to meet the demand and it was decided to put some orders out to other mills. The Board decided that Allens of Ivybridge should be given the opportunity of making some Conqueror to the disgust and doubts of Henry Hobday. To avoid suspicion on the part of customers the paper was sent to Dover for despatch. The paper proved to be very dirty and on resorting made 50% retree* which E P Barlow insisted on having repulped while the remainder was sold as a job lot. The Ivybridge mill belonged to two brothers Allen whose main wealth came from a source other than paper. It was their habit to run the mill until the stock room was full when they went to London and sold the lot at the best price they could get with E.P. Barlow as one of their best customers. It is believed that their main reason for operating the mill was to provide employment for the villagers of Ivybridge. *Retree, derived from the French retries, meaning resorted, was one of two categories of seconds. This category related to paper with slight faults, while ‘outsiders’ had more serious defects. A mill ream used to have a quire of outsides packed at the top and bottom, hence the expression. The original paper specification for Conqueror paper was written by Edward Percy Barlow a director of Wiggins & Teape, Wholesale Paper Merchants, during the 1880s. Barlow was anxious to establish a watermarked paper of his own, ‘Conqueror London’. The specification was offered to any papermaker, which would be accompanied by a large order, who called on the company’s Aldgate, London premises. Barlow’s idea was to provide a high-quality watermarked paper for the masses. It was intended to look like handmade paper, but to cost far less. Papermakers of the time were experiencing good prosperity and the price Wiggins Tape was prepared to pay wasn’t attractive to many. However, Henry Hobday of Buckland Mill in Dover, after some misgivings, considered the business as a viable opportunity. Buckland Mill, established in the late 18th Century as a paper mill on a site where milling industry had been recorded since 1451, suffered catastrophic fire damage in 1887. Henry Hobday, the mill’s joint owner with banker Charles Ashdown, badly needed the Conqueror order to re-establish businesses at the refurbished mill. 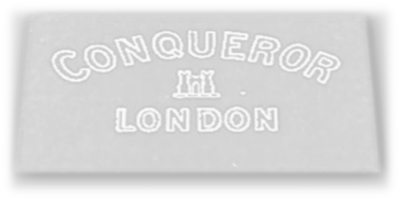 Thus, in 1888, the first making of Conqueror London, the paper’s original watermark, was produced for sale by Wiggins Teape. Although the majority of the Conqueror range was made at Dover, Stowford Mill at Ivybridge always had an involvement, manufacturing the lighter weights and special sheet sizes, such as those for the US market. The Conqueror quality was also adopted by many clients at Ivybridge when ordering bespoke watermarked stationery, and was the quality used for the specially watermarked Bicentenary writing paper manufactured in 1987. Other watermarks such as John Allen & Sons Extra Strong, Eddystone Loan, Ivybridge Linen, Ivybridge Bond and Commander were however, retained. Commander was transferred to Turkey Mill in Keighley, another mill Portals had recently acquired. Portals however introduced new watermarked grades to Ivybridge such as Wykeham Bond, Wove and Laid (first made in 1924 but later discontinued in 1939/1940), Economy Bond (first made in 1928 and discontinued in 1940), 1927 Extra Strong Wove and Laid (first made in 1927 and discontinued in 1933) and Ivybridge Blotting (made between 1927 and 1929).